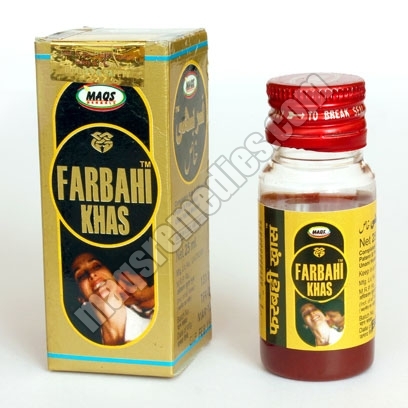 Farbahi Khas is Manufactured with Highly Effective Herbs Which are Completely Useful in Sexual Disorders of Male Sexual Organs like Sluggishness, Feebleness & Obliquity Etc. farbahi Khas Improves Size and Shape, Increases Erectile Function By Stimulating Nerves, Muscles and Blood Circulation in the Desired Part, Since this Special Oil is Formulated with Specialized Herbs Gives Very Much Desired Result. Dosage : 2 to 3 Drops Put On Finger and Massage Gently Till Absorption or as Directed By the Physician.